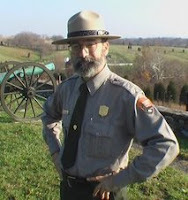 Ranger Mannie at Antietam continues to maintain one of the most interesting blogs around—My Year of Living Rangerously—a perfect marriage of unfettered passion, zero politics, rich & unjaded humor, exceptional skill with a camera, and the sensibility to highlight glimpses of beauty and wonder in the ordinary landscapes of our everyday world. All the better that his everyday world is the battlefield at Antietam. This post is another keeper. I hid my family’s secret hobby from my schoolmates like we were Russian child-bride smugglers. A preservation group has filed an appeal with the U.S. Supreme Court over a state ruling allowing a housing development on the site of the 1862 Civil War Battle of Shepherdstown. About 30 volunteer members of a Kansas regiment were patrolling the land about five miles southwest of Butler, in western Missouri's Bates County that October day in 1863 when they were ambushed by about 130 rebel horsemen near Island Mound, a low hill near the Marais-des-Cynges River. The Kansas soldiers drove off their attackers in a brief skirmish.The significance is that this was the First Kansas COLORED Infantry. This fight was the first time that black soldiers went into combat on behalf of the Union during the Civil War. "The night before 'The Civil War,' we thought it was going to be a failure," confessed Ric Burns, who co-produced and co-wrote the colossal documentary series for his brother, Ken. "Who would watch a program stitched together from old photographs?" Tobruk is loosely based on Stephen Crane’s classic American Civil War novel The Red Badge of Courage, and anyone familiar with Crane’s book will appreciate Marhoul’s homage. If there is a flaw to this film it’s that, unlike with Crane’s central character, Henry, audiences can’t always be certain whose story Marhoul wants us to follow. "Good Morning America" will report from the historic, Civil War riverfront city of Vicksburg on Sept. 26. The Civil War in that part of North Carolina was not the war of waving the Confederate Stars and Bars or the Union Stars and Stripes, of masses of men in butternut or blue charging up slopes toward some “little clump of trees,” or standing toe-to-toe in bloody musket volley fire. It was more like a backwoods bushwhacking or a shootout in a snake-infested swamp along the Chowan River. It was a nighttime raid on a hog farm to drive off critters meant to supply bacon for the Army of Northern Virginia, or to burn a creekside warehouse where cured bacon was already stored. Q: When they couldn’t feed their families, Southern women started food riots. There was a big one in Richmond. Were there any in Georgia? A: Every major city in Georgia had food riots. We’ve documented more than 20. In Atlanta, a woman walked into a store on Whitehall Street and drew a revolver and told the rest of the women to take what they wanted. They moved from store to store. June 19, 1862: To-day I shot 654 passenger pigeons. That axe I bought from that lousy trapper has a rotten handle. I think the dog has typhoid. I like living in a sod house. Is civil war imminent? 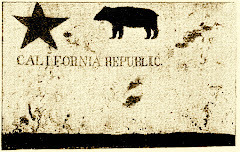 May 11, 1866: D—n! I just found out about the Civil War! That's what you get when you print a news-paper hundreds of miles from civilization, I suppose. To-day I shot 1,297 passenger pigeons.